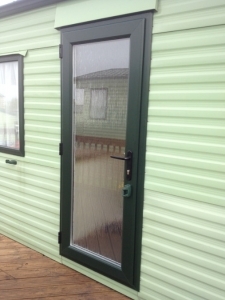 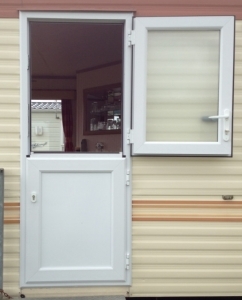 Slim line caravan double glazing. 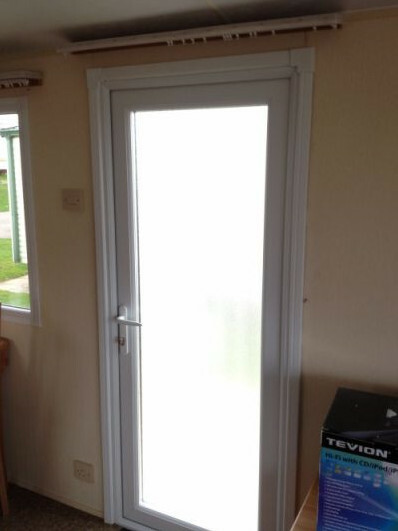 Reduce condensation, Heat loss and Noise. 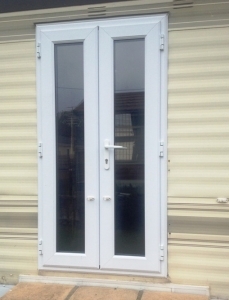 Increase, security comfort and length of season. 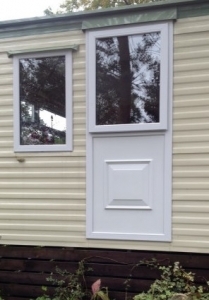 Fitted in just one day. 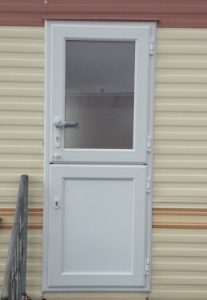 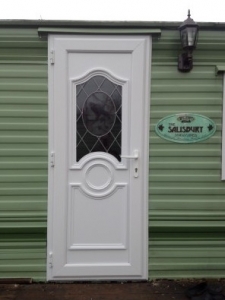 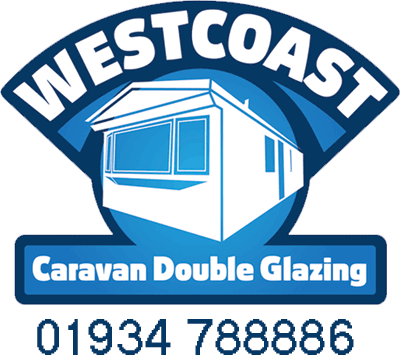 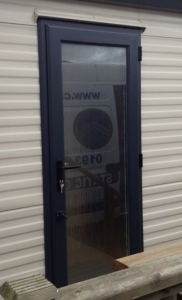 All our static caravan doors are installed with toughened safety glass as standard and are available in the full range of colours, light oak, rosewood and classic white; doors can be glazed with obscure glass or clear. 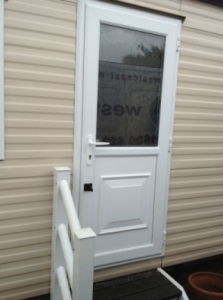 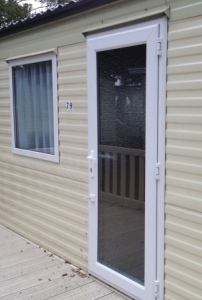 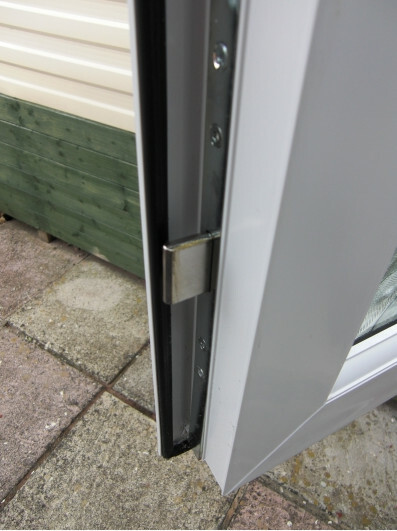 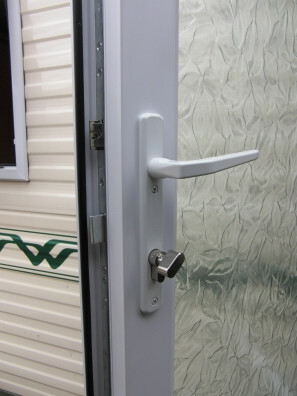 As standard our caravan upvc doors come with high security locking systems and thumb screw door locks so you don’t need a key to lock the caravan from the inside. 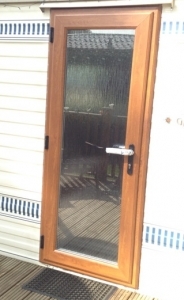 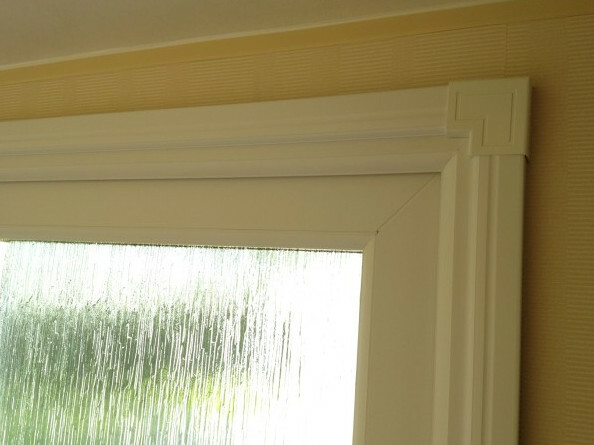 Doors don’t have to be glazed with Glass we offer a wide range of feature door panels that have different leaded and beveled glass designs if you fancy something a bit special.